Do Motorists Finally Accept the Danger of Hand-Held Cell Phone Use? More than 600,000 drivers use electronic devices while driving, but researchers say this number is slowly declining. Here’s what we know. There finally may be some encouraging news when it comes to hand-held cell phone use while driving. The National Highway Safety Administration (NHTSA) recently published research notes on Driver Electronic Device Use in 2016, and there seems to be positive news. According to research that was conducted by the National Occupant Protection Use Survey (NOPUS), hand-held phone use by drivers decreased from 3.8 percent to 3.3 percent, which NHTSA considers a statistically significant decrease. While this is positive news, there is still much more work to be done to deter people not only from talking on the phone while driving but from texting as well. Distracted driving is characterized as anything that diverts a driver’s attention from the road. 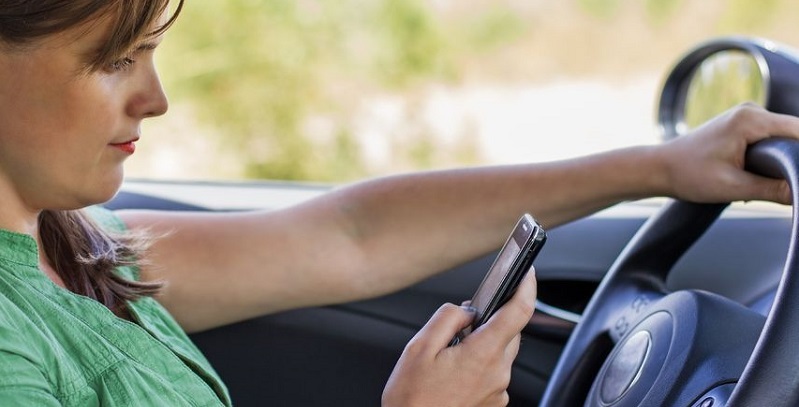 Drinking, eating, talking to a passenger, or fiddling with the radio are all considered distractions; however, one of the deadliest distractions is the use of electronic devices. According to statistics, some 3,477 people are killed in auto accidents each year due to distracted driving, and another 391,000 are injured; according to the National Safety Council, cell phone use is the number one distraction. Hand-held cell phone use is much higher among women than men. The age group most likely to use a hand-held cell while driving is 16- to 24-years-olds. African-Americans are more likely to use a hand-held cell while driving than Caucasians. And when it comes to region, those in the Midwest were seen using a cell by hand more than drivers in other regions. When it comes to states and distracted-driving laws, more and more states are cracking down on the practice. Currently, there are 14 states, along with Washington, D.C., Puerto Rico, Guam, and the U.S. Virgin Islands, that ban the use of hand-held cell phones for all drivers. In addition to banning the use of the cell phones unless you are using some type of hands-free device, the 14 states and territories have also made the law a primary enforcement law, which means law enforcement can ticket you for the use of the cell without any other traffic offense taking place. When it comes to a complete ban, no state prohibits the use of a cell phone when you are behind the wheel, with one exception. There are 38 states and D.C. that do ban the use of cell phones for novice drivers. Colorado is among those states that do make it illegal for anyone 18 years of age or younger to drive and use a cell at the same time unless it is an emergency. It’s an entirely different matter when it comes to texting. All states and U.S. territories ban texting when driving, and for good reason. Sending or reading a text message will divert your eyes off the road to your phone on average about five seconds. While that doesn’t seem extreme, consider that someone driving 55 mph can go the length of a football field in five seconds; that’s why it’s so dangerous and deadly. Fines are issued if you are caught driving and texting in Colorado. First-time offenders will be fined $50; the price goes up to $100 for subsequent offenses.